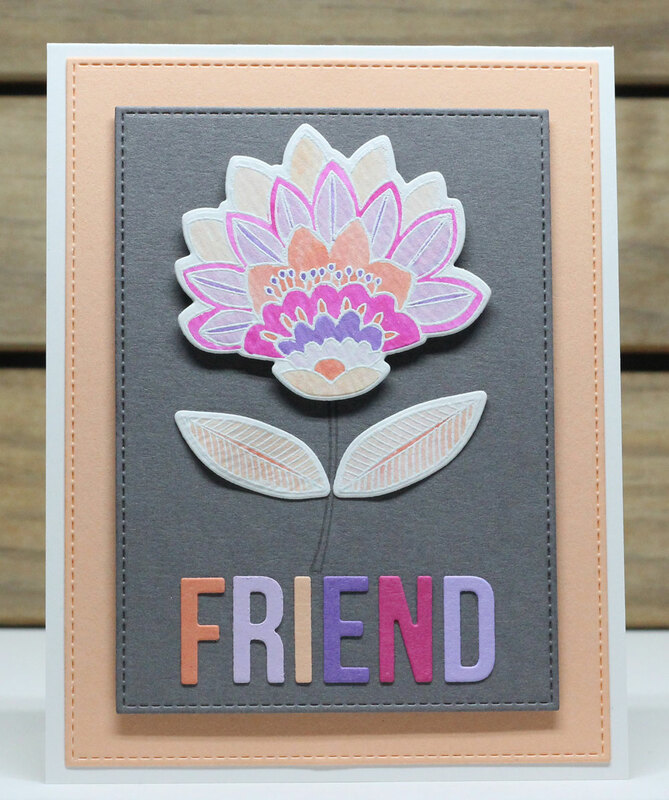 My card today uses the gorgeous Fancy Flowers stamp set & Die-namics, along with the Words for Friends Die-namics. I love the color palette of card stock included in the kit. I used them as inspiration for coloring my white-embossed flower. This new card kit is available NOW! Be sure to check out the MFT Blog to see what the rest of the team has come up with today. Jody--Love the colors! The Pastel "Friends" really makes it!